Cardamom gives this twist on classic homemade pumpkin pie a slightly mysterious and sophisticated note. 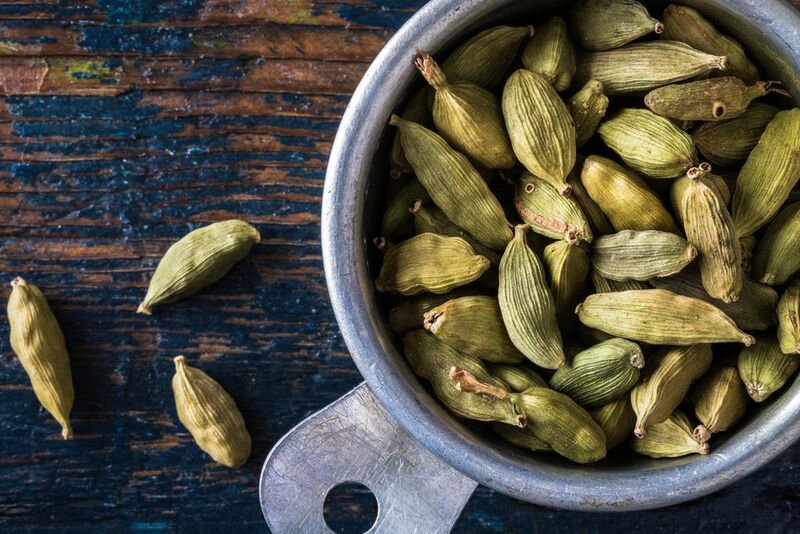 For the best flavor, buy cardamom pods, shell them, and grind the black seeds in a spice grinder or clean coffee grinder. Jarred ground cardamom works, too. Feel free to use a can of unsweetened pumpkin puree, but you may prefer to roast a sugar pie pumpkin or, even better, a red kuri pumpkin or kabocha squash. Scoop out the cooked pumpkin, let it drain a bit, and use that to make this pie. Set the roasted pumpkin flesh in a sieve or strainer over a bowl to drain any excess water out of it. Let sit for at least an hour and up to overnight (cover and chill if letting sit overnight). If you've made your own crust, roll it out and place it in a pie pan. Oil or butter the shiny side of a piece of foil and place it, oiled side down, on the pie crust. Fill with pie weights or dry beans. Bake 15 minutes. Carefully remove the foil and bake another 5 minutes. Let cool a bit. While the crust bakes, whirl the strained pumpkin, sugar, cream, eggs, cardamom, ginger, nutmeg, and salt in a blender until smooth. Pour the pumpkin mixture into the crust. Bake until pumpkin mixture is set and barely jiggles in the center when lightly shaken, about 45 minutes. Let cool to room temperature until set before serving, at least 2 hours.